DESCRIPTION: Burton St Chad War Memorial is located within the grounds of the Church of St Chad (Grade I listed) to the west of the church. It takes the form of a cross fleury on a collared shaft. The cross shaft rises from a pedestal on a two-stepped octagonal base. The west face of the cross shaft has a niche at the base bearing a carved figure with an anchor, under which SPES is carved in relief. The pedestal has four niches each bearing a religious figure. The north-west face of the top step of the base is incised 1914-1918 followed by OUR GLORIOUS DEAD on the west face and 1939-1945 on the south-west face. The memorial stands on a circular paved area set within the churchyard. The aftermath of the First World War saw the biggest single wave of public commemoration ever with tens of thousands of memorials erected across England. This was the result of both the huge impact on communities of the loss of three quarters of a million British lives, and also the official policy of not repatriating the dead which meant that the memorials provided the main focus of the grief felt at this great loss. One such memorial was raised at Burton-upon-Trent as a permanent testament to the sacrifice made by the members of the local community who lost their lives in the First World War. Little is known about the history of the memorial although it was in situ by the time of the 1952 Ordnance Survey map. 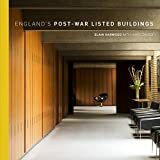 :	as an eloquent witness to the tragic impact of world events on the local community, and the sacrifice it made in the conflicts of the C20. *	it has strong group value with the adjacent Church of St Chad, which is listed at Grade I.